ORACLE Team USA gets towed past the crowds at North Cove Marina. Land Rover Team Great Britain poses for the media boat cameras. 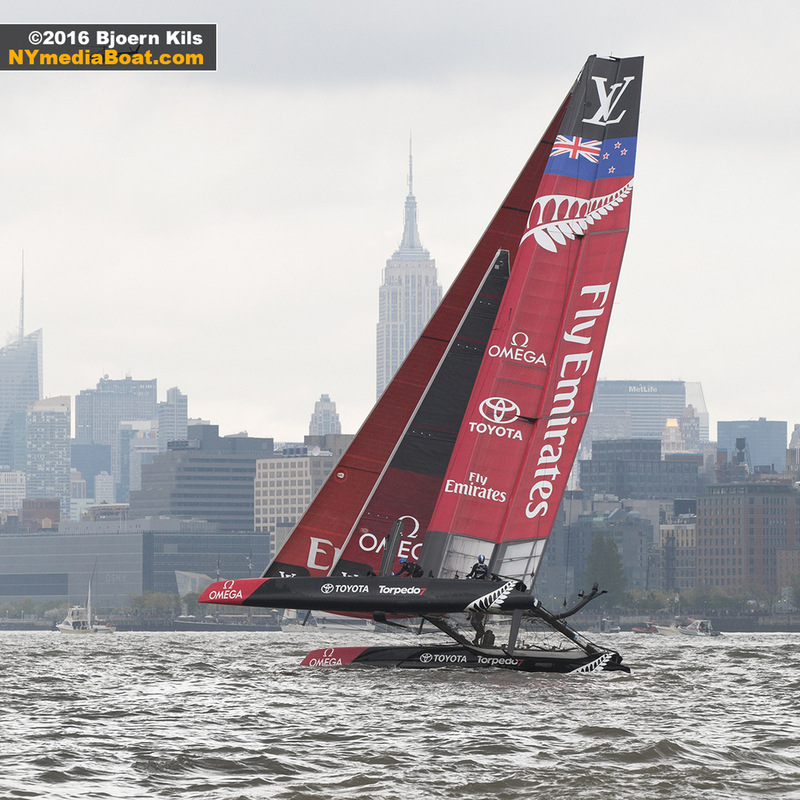 Emirates Team New Zealand finds some wind upriver.